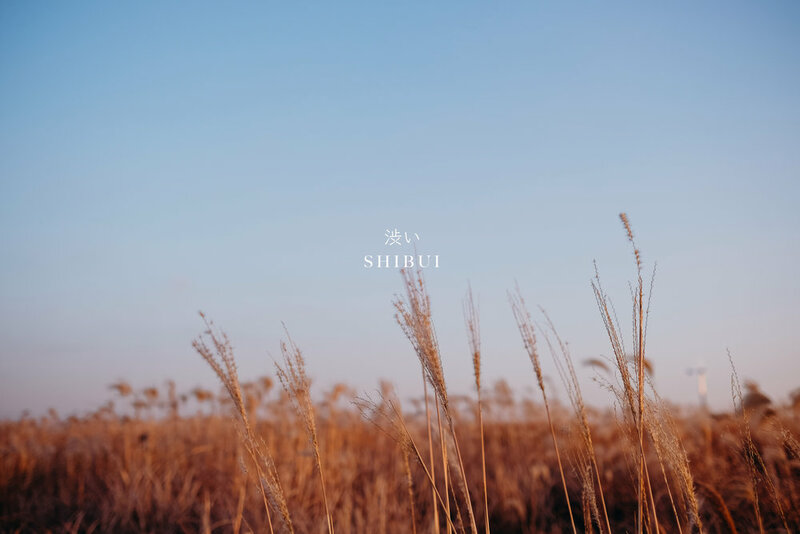 Shizen means "Naturalness" or the absence of pretense and artificiality. We are great believers of candid and natural moments. A full creative intent unforced. Most people get scared and think that this means that their pictures will be taken while they are unprepared and that they might be caught off guard, but that is not true. The concept of Shizen does not endorse just raw nature, but rather a naturalness with purpose and intention. Fukinsei means Asymmetry or Irregularity. This design idea promotes the balance that is created from incompleteness, recognizing that imperfection is part of existence. 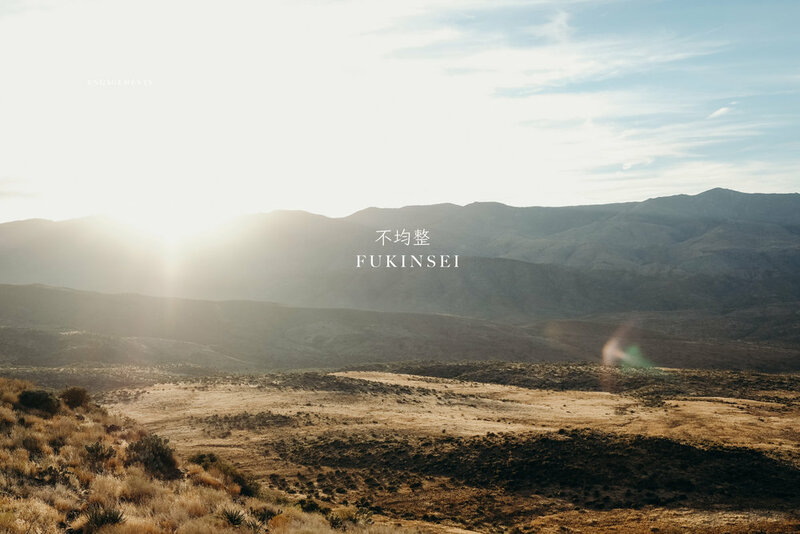 The goal of fukinsei is to create an asymmetrical and incomplete situation so that you may supply the missing symmetry pieces and participate in the creative story. Our job as a photographer is to create the frame, and your part is to complete it. We believe in the power of collaboration between us and our clients. 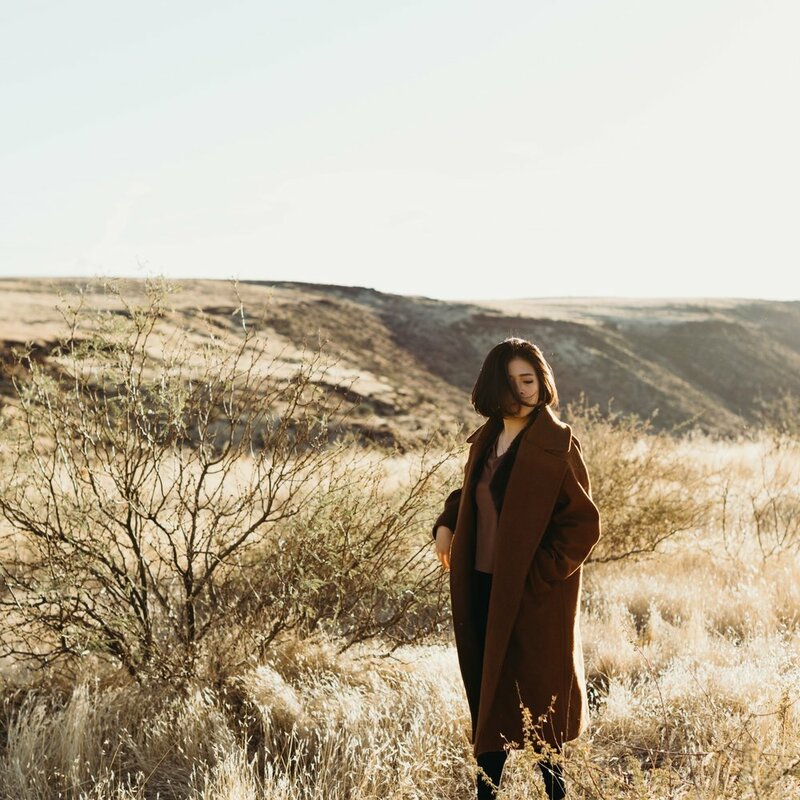 Shibui is the concept of understated beauty. Direct and simple without being flashy. It's a kind of unobtrusive beauty. That's the kind of photographers that we aspire to be. Weddings are something that is far from simple, so if we can, we would like to be the kind of simple people that you need in the middle of your hectic and stressful schedule. Come talk to us and you'll get to see for yourself. In the rise of photography groups and the trend of documenting important life milestones, we realize that there is a growing concern of the impact and consequences of going such far lengths to get the “perfect shot”. Because of this, we want to clarify a couple of things with our future clients. First of all, we believe that Safety is first; although we love an adventurous location, no picture is worth a person falling off a cliff. Therefore we won’t risk anyone’s lives by agreeing to a dangerous shoot location or pose. Second of all, we have high regards to the local culture and norms of living and therefore will put the local community first before our pictures. We will do our due diligence and research first before visiting highly cultural places and will do everything in our ability to be respectful in each shoot locations. There have been a lot of cases of people shooting at temples and Churches where sacred rituals are held, even though signs have clearly forbidden any pictures to be taken - we will refrain from doing such things. Third of all, we care about nature and to the best of our abilities will leave each place the way we found it. We discourage the use of plastic props that are not easily disposable. It is important for us to be a part of a change in our culture and society, and to continue to learn to be educated citizens. We are constantly learning and improving and we certainly don’t have all the answers, but we will do what we can with what we do know. Thank you for walking this path together with us. My name is Michelle. I am a Chicago based Indonesian Photographer. I am originally from the amazing city of Jakarta in Indonesia. This journey started through my love for picture taking. Looking back I realized that this love started during fifth grade; my first camera was a 4.1 MP Fujifilm and back then it was THE hot item in my elementary school. Since then I've rolled through a series of cameras, and I am continually amazed at the advancement of these little things that we use to snap moments and memories. I would like this website to be a space where I can share my adventures and my love for picture taking. Once in a while I'll write blurbs about the things that I have experienced and learned. Those blog posts are like a diary to me, but I do hope that someone, somewhere, will be able to learn something from them! I started doing photography for couples and families in 2011, but shifted to food photography in 2014 and created this website to be a food blog. Food photography was a lot of fun, but I quickly realized that I missed capturing the emotions that human beings can express. I wanted to meet new people, hear stories and be inspired; there is always something unique and intriguing in every story. So here I am, back at capturing different people at different places, and I have no regrets. "Pursuing your passion in the margins. We tend tot think that with ample time comes ample opportunity, but what if having less time for something we love actually makes us better at it?... those hours in the margins are often charged with the electricity of a soul on fire, a soul finally getting to release her passion onto the canvas, or on the page, or into the dance. Deep creativity is born in that place". Anyhow, enough about me! I'm so excited for what's to come, and I'm excited to see where this journey takes me. Thank you for stopping by and being a part of of this journey! Hello! My name is Sean Tan and I am Michelle's partner (and current husband - to - be! woot!). I am Michelle's partner in her photography journey. I really like Coffee. and Jazz music. And netflix. And Ohio State football. On the weekdays I work as a Market Researcher. At Sancii, my role is to ensure that every step you take will be a memorable experience with the least amount of stress possible. We know that weddings are stressful, there are enough things that you need to worry about, and photography should not be one of them! I love a saying from Maya Angelou that says, “I’ve learned that people will forget what you said, people will forget what you did, but people will never forget how you made them feel.” My hope is that our pictures evoke unforgettable feelings about your unique story. Enough about me and let’s chat more about you! I can’t wait to hear from you soon.